John "Squeezebox" Chambers, a California native, started accordion lessons at the tender age of 8. At age 14, the Beatles came to the US and the accordion was replaced by a VOX organ. After time spent in the army, John returned and started playing music, and singing in local bars and clubs… any gig that paid a few bucks. John heard of a cool music called Zydeco, from Louisiana, and he never looked back! Searching for that "special accordion" he found one perfect for that kick`n zydeco sound. On a road trip through Louisiana and the Creole states, "Squeezebox" was converted and "THE BAYOU BROTHERS" was born. Ric Lee is a direct descendant of Confederate General Robert E. Lee and is from a very southern musical family steeped in the tradition of Americana and Cajun music. Ric started playing drums at the age 10 years old. He made his own drumsticks out of scrap wood and began learning how to play drums. He began playing in the school band and started playing professionally at the age of 16 for local events. 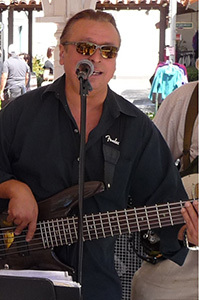 Ric's family moved to California from Louisiana and Ric attended college in Los Angeles to study music. 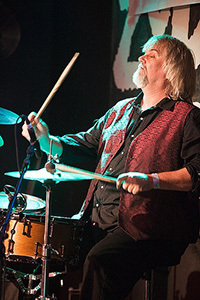 While playing a gig in Lake Charles, LA, his band opened for Queen Ida at a local club. Ric was mesmerized and connected with the Zydeco and Cajun beats, which became a hallmark of Ric's style. 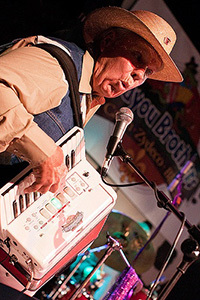 Ric, along with co-founder John Chambers on accordion, started Bayou Brothers in 1995. Ric's major influences are Boozoo Chavis, Keith Frank, Queen Ida, Brian Jack, Beausoleil and Lisa Haley. 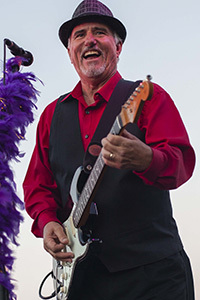 Jack Stephens learned to play guitar starting at 14 and began playing in clubs in 1974 with his brothers and their family band "The Stephens Brothers." They performed widely in San Diego for about 6 years. Jack went on to tour and record with John Ford Coley in the 80's. Since then, Jack has played guitar in numerous band including Kicks,Chained Reaction, Runnin Wild, Finger Tips, Baytown & The Troubadores. As the newest member of the Bayou Brothers, Jack brings a wealth of experience and depth to the Band and admits that he too has been infected with the Zydeco Beat! Judy, our Bayou Sister, has an infectious passion and love for the Louisiana zydeco beat. Audiences love watching her move & groove while scrubbin' the rubboard to fast-tempo zydeco rhythms as well as slow and easy waltzes. 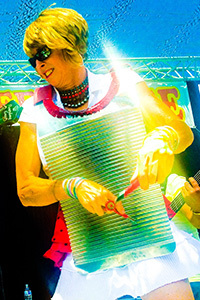 Judy began as a member of the Bontemps Social Club of San Diego over 15 years ago, and has dovetailed her love for zydeco music and dancing into her creative and high-energy style, which has been called "rubboard jammin'". Sister Judy has become one of the best female rubboard players to emerge on the scene. Karen Lee, the drummer Ric Lee's wife, is the band Mom. She is the inspiration of every member of the Bayou Brothers family. Working behind the scenes, Karen also handles all the administrative work and the sales of all the band's CDs and other memorabilia. Jessica, the drummer Ric Lee's daughter, is a natural born zydeco rubboard rhythm player. 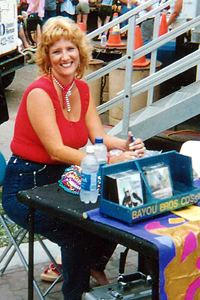 She has recorded and performed many times over with the Bayou Brothers band. Her charm and big smiles combined with her sizzling rubboard rhythms keep the band a popular show which is enjoyed by all! Jessica alternates rubboard with Judith Seid.